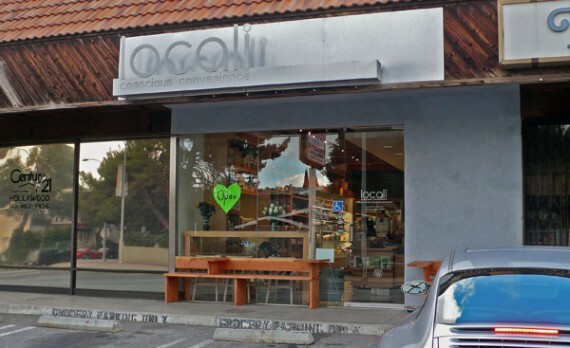 quarrygirl.com » Blog Archive » new vegan-friendly convenience store opens in hollywood! No WAY! That is right by my old apartment!!! Ahh! I spend a lot of time over in that area. This sounds so much better than spending $7 on a Nature’s Express wrap at Real Live Raw. Whoa! I’d never heard of this place and now I’m very excited to go check it out. I wish I’d known yesterday when I was sort of in the area. Follow Your Heart also sells ready-to-eat Taste of Life products, but you’re right…I’ve never seen Sheese locally (I’m also not really a Sheese fan, but maybe I’ll give it another try). What a great addition to our vegan community! P.S. I’ve been to the Sensitive Baker and they’re very nice there. They just let me sample the Sheese smoked gouda flavor. I am floored! Smoked gouda is one of the few things I ache with longing for as a vegan. This version is so good… my days of missing it are over. Now that I’ve had the Sheese it blows all the other vegan cheeses I’ve tried so far out of the water. Locali is awesome, and you can tell they are just going to get even better as they settle in. Wish I lived closer (I used to live a block away), I’d be there every day! Oooh this is good news! I too used to live a couple blocks away from there (did everyone else move away for the same reason I did–the parking!!! )but I will def stop in the next time I eat at Pimai, one of the best thai restaurants in town. Foodeater has me really excited about this Sheese gouda. I was just wondering why I’d never seen a vegan attempt at gouda while at Whole Foods yesterday. WOAH! No way how did you hear about this? Just random drive by? so I have zero self control and drove there tonight! Such a fun and awesome place! The Ginger Agave Slushie is fantastic! Did you try the vegan Cavi*art? Too much fun in one place! Ooh, awesome! I wish we had something like this in SF. vegan for many years..have only been going to Nature’s Mart on Hillhurst who are not totally vegan. My daughter and I are both allergic to wheat and gluten, also some soy bothers my stomach. Glad to know that we have a new kid on the block. Thanks for the heads up about this place. I stopped by earlier tonight, and like you said the staff were super friendly. Lot of neat little items. They also have a lot of different tamales in their deli area, of which I think 3 are vegan. I tried the fig na-na tamale(vegan) and it was really tasty, more of a sweet treat. Looking forward to going back, once they get their deli in full swing. thank you so much for this post! i’m over in that area all the time but wouldn’t have stopped by. i got a chocolate muffin and some soy feta. both great (not together). they were super nice and very excited that i found them through your blog. they gave me free soup and vegan caviar samples. and she said she’d try to twitter every day with the soup specials. “Do it for the animals…” My new catchphrase. 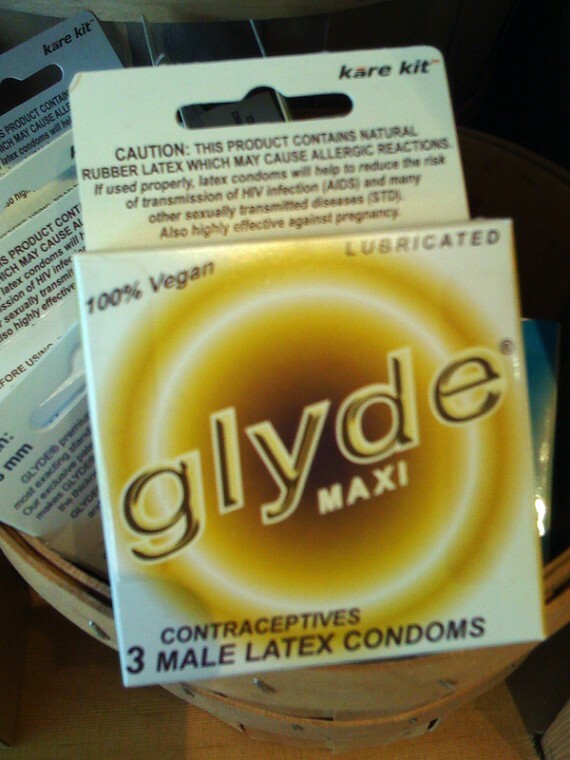 BTW, I’ve used the glyde ones before. They’re not too bad; maybe a little thicker than the typical US brands. The fact that they have the “maxi” ones is good if that means they’re bigger size, because the normal ones are a little on the small side. Will! you’re getting me all hot under the collar with that bug condom talk. Cold shower time.